Dependency on Filipino nurse is an essential part of the Saudi Arabian healthcare system. The country faces a real shortage of medical care service providers. Many big hospitals in Saudi are on the rise and most of which are suffering from providing quality care due to nurse shortage. Most hospitals have chosen the path of importing professional labor to satisfy their needs for the necessary nurse. Recruitment of nurses from third world countries has been the solution to fill in the requirement for qualified nurses. While Saudi perceives third world countries as a gold mine to recruit nurses, nurses from these countries see Saudi Arabia as a stepping stone to the western world, such as a career in the United Kingdom and the United States. Is it safe to live and work as a Filipino nurse in Saudi Arabia? In terms of personal and physical safety as a woman, the possibility of being robbed or assaulted is extremely low. It would be more likely to be involved in a traffic accident than security accidents. Many testimonies have proven that women can freely go out alone without being harassed but be cautious of lusty stares and the inappropriate male gaze. It is true that it is easy to be objectified as a woman in Saudi Arabia for being different in terms of how the way you look, but by being extra careful, you can assure yourself security. You don’t really have to wear a hijab to cover your hair, but you have to wear an abaya especially when you’re off the hospital compound. Outside of work, you can find any hobby or interests you are into there. Apart from the unlimited travel options, you can enjoy your social life by joining various interests groups and formal events. How is it working as a Filipino nurse in Saudi Arabia? Every high- skilled professional such as doctors and nurses undergo a rigorous fact-checking from the Saudi Labor Ministry. Most of the time, nurses are working 44 hours per week. Basically, it is more than the work hours you used to be working full-time here in the Philippines. You will surely flip day shift to night shift work. Due to nurse shortage, Filipino nurses were pushed to work overload. Saudi Arabia employs nurses from varying citizenship. This entails differences in terms of standards of nursing education and scope of practices. In Saudi Arabia, there is a high incidence of metabolic and genetic disorders. If you will be assigned in large hospitals, you will surely have the opportunity to use the latest healthcare gadgets. Saudi Arabia seems to offer wonderful progression opportunities to build nursing careers. One of the exciting opportunities will be the chance to work for some of the world’s most modern and state-of-the-art healthcare facilities. If you are a Filipino nurse who can adapt at things that are different, embrace cultural differences, and someone who doesn’t take life seriously, you have high chances to survive in Saudi Arabia without any problems. It will be easy for you to make friends and have an amazing social life. After all, your experience in the country will rely mostly on whatever you make out of it. Benefits still outweigh the negatives if there will be. Working as a Filipino nurse in Saudi Arabia will surely let you pay off all of your debt and have the chance to even travel the world. If there are common trouble Filipino nurses in Saudi Arabia commonly encounter is being jailed and arrested for fabricating credentials. Misrepresentations and tampering will surely lead you to wrong places and even deportation. By dealing with a reputable recruitment agency, you can avoid encountering such trouble. Hospital admin notices inventory shrinkage in prescription drugs. Some allied and medical staff from the employer’s first recruitment partner were proven positive for drug dependence. 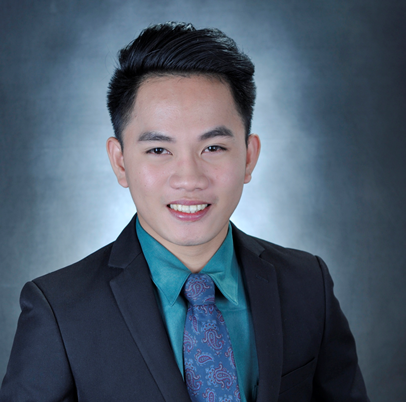 Rensol, as the second recruitment partner, advised the hospital owner to subject all medical staff involved in drug diversion to a temporary suspension of license until they fully recover upon rehabilitation. The partner recruitment agency recommended rigorous recruitment of medical staff with no history of drug abuse. Rensol endorses imposition of stricter rules on the handling of prescription drugs and educational programs to continuously train healthcare staff on substance and drug abuse. Even with the best and stellar medical staff you have, abuse on prescription drugs is a quiet epidemic that falls prey many hospital workers. Drug addiction is a major health risk among healthcare professionals, apart from it being a breach of their professional ethics. Aside from putting patients at risk, this can be damaging to the reputation of any healthcare facility. Hospitals are filled with prescription painkillers which may induce craving to abused drugs. The intense physical and emotional demand of their job, along with the stress of mandatory overtime, long shifts, and unpredictable shift rotation, contributes to the temptation to steal some. The hospital owner was alarmed upon knowing that a great shrinkage has been happening in the hospital’s inventory of prescription drugs. In an investigation, some staff deployed by their first recruitment partner had been caught using left-overs and even whole vials of drugs from the dispenser intended for patients. The management found that some staff had proven drug dependence on various prescription drugs to induce migraine, insomnia, and body pain. Many of them had thought that self-medication would not make them addicted and that medications could make them feel better. Some medical staff were even caught forging prescriptions to acquire drugs. Some diverted drugs by only administering the partial dose to their patient and saved the left-overs for them. With the need to source a bunch of healthcare staff from other countries, the healthcare facility sought the help of Rensol to aide in manpower needs. 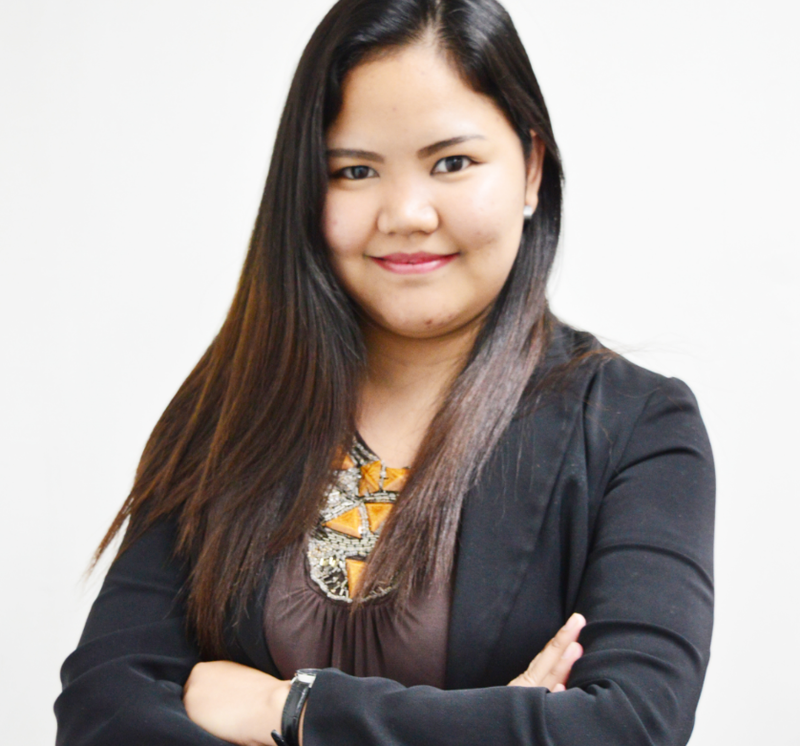 As part of Rensol’s mandate not just to be a manpower sourcing agent for the company, the agency deemed it necessary to support the client with its ailing human resource issue on drug dependence. As a recommendation, Rensol advised the medical unit to provide an adequate support facility for addicted staff. This will prevent issues from coming out the hospital that may damage the facility’s reputation. This is also a responsibility for their workers as drug addiction is still a medical issue that needs to be addressed. This is a responsibility to protect patients and to help every colleague who is under distressed. Without treating their addiction, patient safety can be jeopardized by diverting drugs from patients, possible neglect on patients, committing of mistakes, and impaired judgment. It is the ethical obligation of the employer to subject the impaired nurse to rehabilitation toward their recovery. Addiction, after all, is a treatable disease yet fatal, if left untreated. Rensol suggested that the concerned staff’s employment must be temporarily suspended. They will have no access to narcotics and will be subjected under the supervision of a physician until full recovery. Rensol assisted the healthcare facility to aid in their recruitment needs by sourcing staff with the smallest chance of becoming abusive to prescription drugs. Rigorous screening and background checking have been strictly done and orientation has been comprehensive to meet the demand of the job site. Rensol recommended that the healthcare facility should have an educational program and stricter policies on the handling of prescription drugs, drug abuse, drug dependence and in how to support their colleagues who will be subjected to rehabilitation programs. A newly-constructed healthcare facility in Egypt commissioned a recruitment agency in the Philippines to provide them healthcare professionals with varying fields of expertise. After almost 6 months prior to the signing of the service agreement, nothing happened as the recruitment encountered difficulty in sourcing for the right talents that match their standards. Only six months were left before the hospital became fully-operational. Rensol advised discontinuing their partnership with the former recruitment agency as per their failure to comply with some strict terms of the service agreement. Due to the urgent need to fill in the large expertise demand, Rensol made the accreditation and the recruitment process faster and easier for the client. In recruitment, time is more worth of gold. Longer recruitment process may literally cost you a lot, but a rushed recruitment may even cost you more if it leads you to hire the wrong person. More than “time is gold’, timing in recruitment is everything. Having a reliable partner agency to assist in providing staffing solutions is the most cost-effective and time-efficient considering the extreme cost to hire expatriates. A healthcare facility in Egypt decided to partner with a recruitment agency in the Philippines. The facility was still under completion and was in need to finalize the pool of their in-house health experts such as a gastroenterologist, endocrinologist, internist, obstetrician-gynecologists, etc. and some bunch of surgeons and physicians as right before it opens. The promised hassle-free accreditation went with lots of flaws that delayed everything they had initially planned. The manpower pooling started but for almost two months, no qualified profile was presented and there were no actual candidates introduced for an interview. The management doubted if the firm can provide their staffing demand given their healthcare standards. There was only half a year left for the hospital to complete their pool of experts, but there is still no assurance from the firm if they could still comply even with the lump sum of money they had already devoted to pushing the recruitment process. With Rensol’s inbound marketing efforts, the client company was able to learn that there were still recruitment agencies which will not just provide them the most fitting talents, but effective staffing solutions as well to resolve their manpower crisis, all at once. As assessed, Rensol found out that the client company had dealt with an agency without a proven track record to provide specialists and experts. Upon checking POEA records, there are still no approved job orders, thus the accreditation of the foreign company was not finalized for a couple of months already. 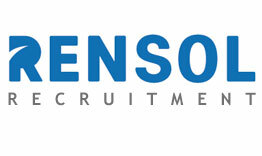 Rensol discussed this with the client company and they, in turn, decided to let Rensol take over the job being neglected by the negligent recruitment firm. With a simpler and standardized process in accreditation assistance and the overwhelming compliance of the client company, the job order was accredited in less than 3 weeks. With Rensol’s vast in-house database of healthcare professionals seeking opportunities abroad, it has never been difficult for the recruitment agency to source their manpower demand with the most qualified one. With effective recruitment marketing, advertisement produced attracted surplus feedback to interested candidates. Assessment, Interviews, and Background Checking were all accomplished in a span of 3 weeks. On the fourth week, pre-selected candidates were already presented to the employer and were already assessed for a final interview. 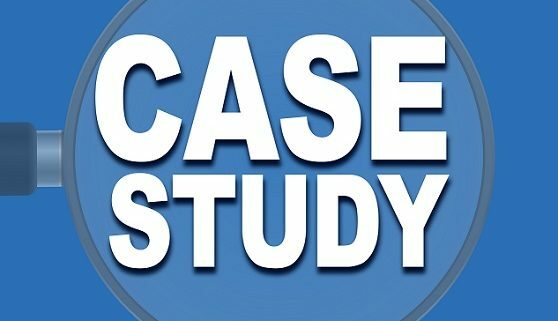 Selected healthcare experts were subjected to an accelerated processing and documentation, visa stamping, and OEC issuance in less than 2 months, and was deployed flawlessly afterward just on time for the opening of the healthcare facility. Even with a tight timeframe, Rensol was able to produce the best choices for each job descriptions with its expedited, yet careful talent attraction and selection. Being in the healthcare and medical profession is an act of kindness – may it be a physician, a dentist or a nurse, anyone can expect that they will only offer care to those who are in need. With caring comes a helping hand and a loving heart, willing to commit time and effort. It miraculously heals a tired body and a burdened spirit. It eases the job of looking over someone, simply because the desire and enthusiasm to help come from within. To care requires passion in what you do; this translates to the values which Filipinos intrinsically possess. It makes them stand out among other nationalities which continuously win over employers all over the world. To date, there is close to a million Filipino medical professionals across the globe. Here are the 8 primary reasons why Filipino Healthcare Professionals are in demand all over the world. Excellent English speaking professionals. The Philippines is on the 5th place of the “Top 10 English Speaking Countries in the World 2017”. This is one of the main reasons why Filipino healthcare professionals are loved and are thriving abroad. Employers are not having a hard time communicating with them. Naturally compassionate people. 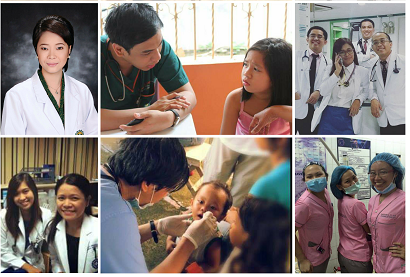 As they grew in an environment where it is natural to extend kindness to other people; Filipino healthcare professionals have been known to be one of the most caring workers ever. They know how to empathize; therefore they understand how to approach and address their patient’s needs. It’s the reason why they are easily loved and trusted. Adaptable. Filipinos in the medical industry fit in different workplaces because they are in an automatic “professional mode” when they’re set to work, meaning they always thrive to adjust to their surroundings. They don’t give their workmates a hard time coping up, instead, they do extend the effort to fit in. Optimistic. Born with faith, they never lose hope in any circumstances. When others perceive the situation impossible, they will always find ways to turn it possible, and eventually do great! Enthusiastic. Filipinos offer a lively vibe on their workplace, which they also pass on to their patients. They are loved because their free spirit influences the mood of the toxic hospital environment. They remain fueled and happy to serve no matter what. Passionate. This is one of the remarkable assets of Filipinos in the healthcare industry. They get into the job and do it, not only with the hand that works but also with the mind and heart which ensures that love and quality of work are provided. This passion shows to their actions and communicates through their words. Committed. As Filipinos, they were trained to give total focus on their goals; they take a good grip on it and never let go. As they concentrate and pour out all their passion in the job they love, they also spend emotions in it, therefore making them attached to their duties. Commitment for Filipinos is equal to integrity. With the mind that critically thinks, with the ear that attentively listens, with the eyes that keenly observes, and with the heart that completely feels, Filipino healthcare professionals bring healthcare institutions services and customer experience into a higher level. For more information on how to conduct a healthcare specific recruitment campaign in the Philippines, please connect with our Business Development Team at [email protected]. We will be ready to sit down with you and understand your concerns and configure a recruitment plan to ensure better success. Will My Nursing Career Improve by Being Multilingual? Your bilingual capacity can heighten your competitiveness in your nursing career! The ability to read, write, and speak a second language is a skill which is desired in virtually every career. It is very much true especially if you’re aiming to get a job in an international based company. Competition is real! This also applies in the healthcare industry; wherein multilingual nurses are a critical necessity to having a successful career. Is English good enough? Obviously, English is the native language of countries like the United Kingdom and the United States, but that doesn’t mean that every resident is an English speaker. These two populations taken together form less than 5% of the world’s population. In England and USA there are still many residents and visitors that speak Punjabi, Urdu, Bengali, Gujarati, Arabic, French, Chinese, Portuguese, sign language, and more. In the Middle East, it is Arabic while Germany and Austria opening their healthcare opportunities to Asian populations, nurses eyeing to work there are required to learn and be certified in German. These people will at some point or another need healthcare services. This is where the value of being a bilingual nurse really comes in. This is just one of the many advantages you will have as a nurse that speaks multiple languages. There are over thousands of hospitals in the UK – and many of those serve cities with high immigrant populations. Those hospitals need healthcare providers that can communicate with patients who only speak other languages. This means greatly improved job prospects for your nursing career, more chances of getting hired. Moreover, German and Austrian opportunities are opening up to hire healthcare Filipino candidates; therefore, requirement to build German language skills is increasingly important. Being a multilingual nursing professional can help you reach out to diverse people. Most people go into nursing because they recognize the fact that they gain great satisfaction in helping others. Being a bilingual nurse gives you the opportunity to help an even more diverse range of patients. You could help patients be able to comfortably communicate their thoughts to you. Remember that a single information in conveying a symptom of an illness is of huge help to know whether a patient needs a simple or a major treatment. In this case, being a nurse that can effectively communicate the local language of the country he serves could really beat this simple yet necessary international barrier – Communication! Start saving other people and yourself! Start saving yourself a sure place in the healthcare industry by trying to invest to language seminars or trainings. You will not just help yourself, you will also have more impact on different people’s lives. It is not just about communication, it is about the impact you can offer when you have the necessary skills to communicate. Our world is becoming more diverse and interconnected each day. With that in mind, being a bilingual (or even better, multilingual) nurse is a huge advantage. The ability to speak multiple languages makes your nursing skills more valuable and marketable and helps increase patient outcomes and safety. Have you encountered scenarios where bilingual nurses saved the day? Or have you found yourself out of zone, unable to communicate to a patient? Do let us know by leaving your comments below! https://rensol.com/wp-content/uploads/2017/08/nurse-multilingual.jpg 533 794 Deanna Ramos - Recruitment and Sourcing Lead https://rensol.com/wp-content/uploads/2017/08/logo-1.2.png Deanna Ramos - Recruitment and Sourcing Lead2018-03-05 09:57:022018-03-06 15:45:57Will My Nursing Career Improve by Being Multilingual? Everyone intrinsically longs for the feeling of home, where he can feel that he is cared for. This translates to the need of the patients to be attended by healthcare professionals who have genuine kindness and compassion in caring for other people. There’s no denying that pulling off processes and technological innovations to provide quality services to patients are vital factors in improving health conditions and in achieving patient satisfaction; but healthcare providers need not to overlook the importance of human elements to healthcare. A scientific literature review by Stanford University and Dignity Health has shown that healthcare services which were delivered with kindness and compassion have resulted to positive health improvements among patients (e.g. reduced pain, reduced anxiety, shorter hospital stays, etc.). It was also found that it helps build a good relationship between the patient and the medical personnel that ultimately leads to accurate sharing of information and proper diagnosis and treatment. This review is just one of the many studies that affirm that love, care and kindness plays a hand in the rehabilitation and improvement of health patients. Moreover, Dr. James Dotty, founder and director of Stanford University School of Medicine’s Center for Compassion and Altruism Research and Education said that when healthcare is delivered with kindness and compassion, it has a significantly greater effect than when it is given in a dispassionate fashion that assumes that human connection has no benefit. Rensol Recruitment have its database and network resources rich with “care givers” who have the mind and the heart, especially in the Filipino populace of healthcare professionals. International healthcare recruitment significantly drives the demand for Filipino nurses and other health professionals to different parts of the world. The Filipino brand of healthcare has been widely- known as innately gentle and respectful in approach. Apparently, healthcare decisions made by the working Filipino were highly- influenced by their religion, their family, and their home. Filipinos, in a research study, showed strong faith, strong family ties, and strong aspiration to lift their family to financial abundance. This goes to show how they are inclined to take care of the sick, most especially the elderly. There’s no denying that kindness and compassion is not everyone’s thing, and it for sure, cannot be mandated, that is why it’s important to have healthcare professionals who innately possesses these values. Healthcare professionals who will take good care of others even nobody is watching. Healthcare professionals who will be more than happy to offer what they can even if they are tired and stressed. Healthcare professionals who have the intelligence to apply the right treatment and the heart to make his/her patient smile. For more information on how to conduct a healthcare recruitment campaign with above and beyond end to end assistance in the Philippines, please connect with the Business Development Team at solut[email protected] We will be ready to sit down with you and understand your concerns and configure a complete recruitment plan to ensure better success.